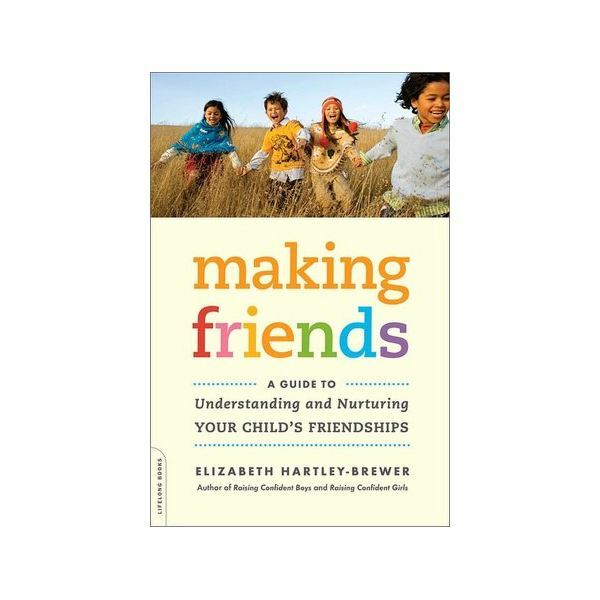 Children in preschool are at the end of the phase of friendship dubbed “Pre-friendship” by Elizabeth Hartley-Brewer. This is the stage in which children are observing the world around them to learn social norms and cues. Their friends are the children who exhibit kindness and smile a lot. They are also the children that they see on a regular basis. So, at this point, the child’s best friend is the one with whom he spends the most time. Parents can help these friendships by scheduling activities with other children in the child’s class. Parents become concerned when they see that their child seems to be playing alone. Many times, the child is actually engaged in parallel play. This is when the child is doing an independent activity, but is working literally alongside another child doing his own independent activity. This starts during the toddler years, and can extend into the preschool years as the child begins to learn the concept of sharing and reciprocity. Watch for occasional cooperative play. Some children simply prefer being by themselves. Often, this is acceptable. Look for how the other children respond to her and if she seems to be well-liked by her peers. If the other children seem to like her, it’s OK. If she is shy, she will eventually grow out of that somewhat, as long as little attention is drawn to her shyness. To facilitate the social development of a seemingly shy child, try to encourage play-dates with one other child at a time. Meet other parents so that invitations can go both ways. Take the child to social functions, but don’t force her to participate. She will when she is ready. Above all, don’t label your child’s behavior as shy in front of her. This will lead to lower self-esteem and can become a self-fulfilling prophecy. Imaginary friends also tend to pop up in the preschool years. Having an imaginary friend is a normal part of healthy pretend play, similar to befriending a beloved stuffed animal. The imaginary friend may be invisible, or may be projected onto unusual items. He is as real to the child as his real-life friend standing in front of him. Imaginary friends can help the lonely child feel less so, providing a sense of comfort. They can provide a safe way for a child to work out a bothersome situation. They are also the perfect friends, because they are under the child’s complete control. Children even as old as six or seven may still have imaginary friends. Parents don’t need to worry, unless the child retains his imaginary friends past the age of eight. Accept the imaginary friend as a part of the family. The phase will run its course in due time. Children start developing gender awareness around the age of two. They assign this awareness in their pretend play with their friends: “You have to be the daddy because you’re a boy. I’m the mommy because I’m the girl.” But while they are aware of these gender differences, boys and girls can often be found playing together. The separation of the sexes doesn’t usually occur until the next phase of friendship, which occurs around the kindergarten and first grade years. Allow your child to play with boys and girls and invite both for play-dates. They will separate themselves soon enough.